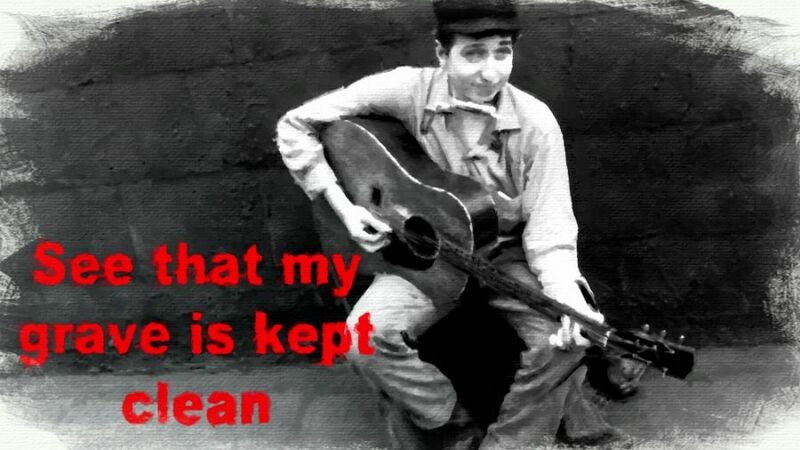 See That My Grave Is Kept Clean is a blues song recorded by Blind Lemon Jefferson in two slightly differing versions in October 1927 and February 1928 that became one of his most famous compositions. Bob Dylan recorded the song for his 1962 debut album Bob Dylan. It was also recorded with The Band released on The Bootleg Series Vol. 11 – The Basement Tapes Complete. Listen to a part of it 20 minutes into this wonderful audio story called, The Many Voices of Bob Dylan. The song is credited to Blind Lemon, but I’ve seen sources that says it’s a traditional spiritual that Jefferson re-worked as a blues song. This is very common in the folk/blues tradition. So is the ever changing lyrics, all is part of the so called “folk process”. 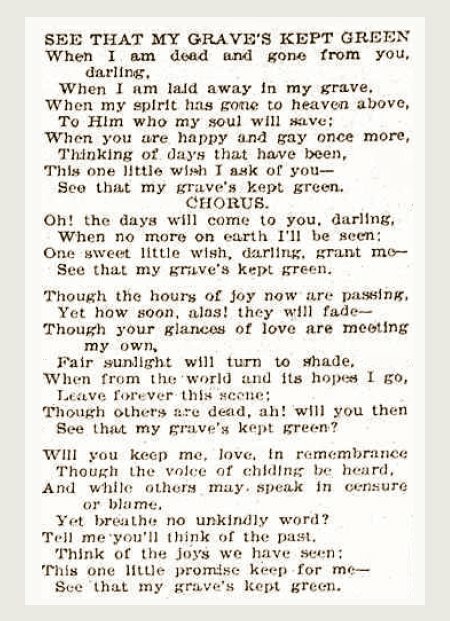 I also found a web site (Jkadock.blogspot.no) with a picture of different lyrics dated back to 1898, the song was then called, See That My Grave Is Kept Green. It also has references to the song as far back as 1893 and 1892! Did you ever hear that coughin’ sound? Did you ever hear them church bells tone? Have you ever hear that church bells tone? PS. The story I mentioned is on pages 108 and 109 of Scaduto’s book. I’ve got some other good Dylan tales in a book that I’ve written called “This Singin’ Thing.” It’s available on Amazon if your interested. Thanks again for your stories, keep’em coming! This is great stuff and we’re very grateful that you take the time to tell us about the times in NY.